Do you already have a power supply unit? Then, the option without one is the right for you. Otherwise, you can choose between a 2 or a 10 Ampere power supply. 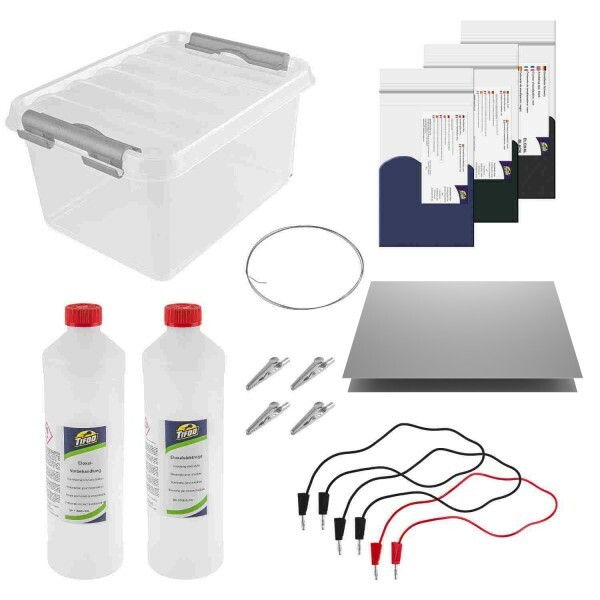 Product information "Anodising starter kit"
Everything you need to anodise aluminium by yourself - even as a beginner. Thanks to the included extensive instruction manual, you'll be able to realise first own anodisation projects. In order to anodise by yourself, you now just need some distilled water (available e.g. at every gas station) and a power supply. The latter can be purchased from us as well, if you don't have any. Related links to "Anodising starter kit"
Instruction manual for Tifoo Anodising starter kit as PDF file. Customer evaluation for "Anodising starter kit"
Die Farben sind kräftig und sehen super profesionell aus. Hat sich gelohnt.